Thanks to you guys I can finally create my own desired officer, so I guess I'll share with you as a refference. I'm still researching how to add items like Red Hare, Crescent Halberd, Sword of Heavens etc, for all my Created Officers. i just remember when i played RTK 11 on my ps2 back in 2007,there is more potrait than in pc version..i tried to google but couldnt find the answer..maybe i have save file from related game stored in my memory card i guess.. I use him for dueling purposes, he rides a white charger (from memory i think it was shadow runner), his weapon is "Green Dragon". Hi, I have been doing some modding for models, and I encountered 2 graphical issues. 1st 1 is that I can add the cape to Huang Zhong's armor / body, but the cape will not show up. Could someone please help me with this issue? 2nd 1 is that I really like the texture of Jiang Wei's cape, it goes really nice with Ma Chao's set; however, the cape's color kinda ruined it, it is white mixed with light green, while i think Ma Chao looks better in MM3 white cape color ( the only downside of MM3 white cape is that its texture does not go well with Ma Chao ). 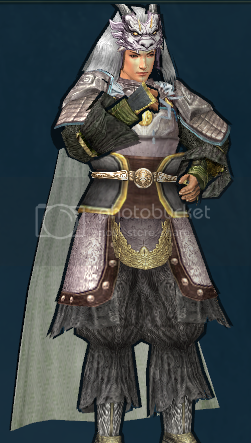 Could you please re-edit Jiang Wei's cape to the color of Male Military 3 white cape ?